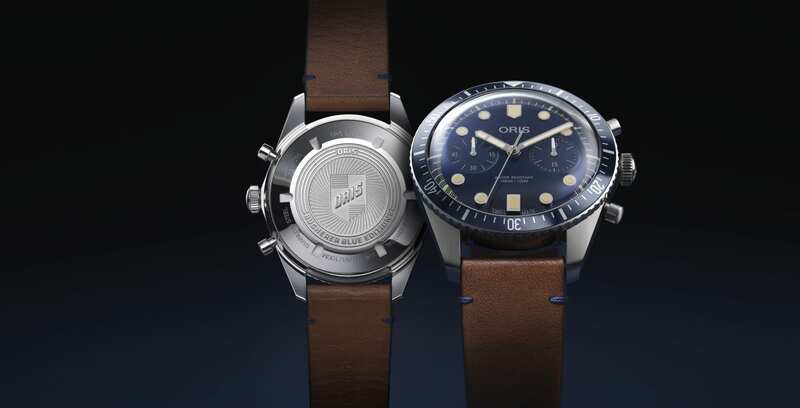 Tourneau’s owner Bucherer has added new models from Tissot and Oris to its Blue Editions family. More than 30 fine watch brands make special models that are sold exclusively through Bucherer stores featuring the color blue in some way across their cases, dials and straps. In March, Tissot and Bucherer unveiled a Chemin des Tourelles automatic chronograph Blue Editions that is on sale now. Limited to just 888 pieces, the sporty watch has a dark blue guilloche pattern dial featuring three subdials and a date. It is sold on a blue leather strap. Its Swiss mechanical automatic movement can be seen through the transparent case back of its 44mm stainless-steel case. Also new this year, Oris has given its Divers Sixty-Five chronograph a Blue edition makeover, with a 2019 piece adopting a deep blue dial with matching aluminium bezel. It comes in a 43mm steel case and is worn on a vintage-style leather strap with blue details. Blue is already the favorite color of Oris, in part because of its strength in dive watches and its alignment with a range of marine life and ocean conservation causes.